If you are thirty-something, chances are you are thinking about owning a home as a good investment option. Purchasing the right condo can be the best investment you can make at this time in your life. You have reached the point in your life when you want to start investing your money. Real estate is considered one of the best investments possible. Today, many people find that condos make excellent investments and provide easy lifestyles. However, purchasing the right real estate property is key. What do you need to look for when purchasing a condo for investment? The time has come in your life when you are thinking about investment options. You have some money in the bank, and your job is stable. Everything you read tells you that real estate is a great investment, providing the development and the location are right. Now is the perfect time to invest in a condo. If you are thirty-something, now is a great time to start investing in real estate. Not only are you likely to have a steady source of income, but your financial obligations are probably few. You have years of earning ahead, and you will be able to wait to resell until you can maximize your resale potential. For now, you may want to live in a condo, until you are ready for a bigger home; you will be able to rent it out later when you move into a larger place. Or, you may be looking for a rental property now. The options are many, and the timing is right to buy. When a Condo, Not a House? In many markets, condos provide better return on cash investments than houses. Purchasing a condo can be a great solution for first-time buyers who want to invest in real estate for home or rental purposes, but are not ready for a more expensive, single family home purchase. With a condo you will be in the market, and profiting from real estate appreciation. Whether owning or renting, you will not need to spend any time or money maintaining outside landscaping, shovelling snow, or fixing unexpected maintenance problems. Many singles and young couples enjoy condo living because of the freedom and amenities it provides, that would be difficult to find in a comparably-priced single family home. Whether you plan to live-in your condo, or become a landlord, the first three rules of real estate ownership always have been, and always will be, “Location! Location! Location!” For that reason, experts agree that you should invest in an area that is most likely to maintain its allure and population; a place where the real estate market will stay vibrant and healthy. When looking for locations to invest in a condominium, its important to look at the local real estate market. The state of the local market is important whether you are looking at a condo in Panama City Beach or Collingwood Ontario. Both markets, although vastly different, have a high level of demand. Real estate investors are all but guaranteed a large market of potential home buyers and renters, when they resell or rent condos in this area. So, when you purchase a condo, be sure that the location is the best you can find. Invest in a condo where rental and purchase properties are in demand — in an area that is likely to have increasing, not declining, demand during your investment period. 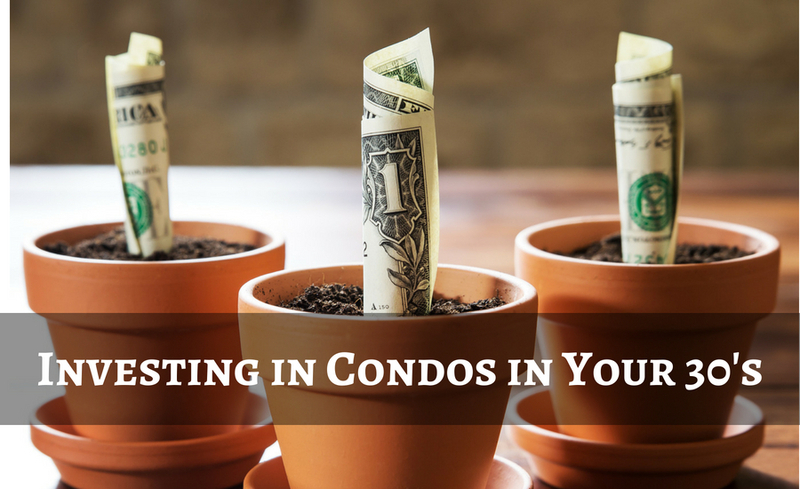 How will your Condo measure up as an Investment? Once you have found a condo, you will want to analyze the investment potential of the property. As a landlord, you first need to determine your annual rent income. This will have to be weighed against your annual cost of taxes, insurance, and Home Owners’ Association and assessment fees and condo fees. You will also need to consider repairs you will be responsible for. Finally, other expenses landlords may incur include: advertising for tenants; possible legal fees if you need to evict a tenant; and possible costs incurred if your tenants cause damage. You will want to add into the calculation, expected annual appreciation of your property. This of course can only be a best guess estimate; REALTOR® will be able to provide local market information to help project possible future condo values. Also, be sure to get the advice of a real estate lawyer and financial planner to help assess the feasibility of you investment plan. After all information gathering and discussions are complete, you will have a good idea of the condo’s investment potential. If you are purchasing the condo for your own use, calculate homeowner costs and investment potential using the above guidelines. With the right amount of research, diligence, and professional advice, you will make a sound, and most likely profitable, real estate investment.